This year was a pivotal one for marijuana. It began with then-U.S. Attorney General Jeff Sessions sending waves of uncertainty and fear over the cannabis industry and legalization supporters on January 4, when he formally rescinded Obama-era guidelines protecting state marijuana laws. But as 2018 went on, even more states ended up changing their laws to allow for legal recreational or medical cannabis use despite the conflict with federal law. Efforts to end national prohibition in Congress picked up steam as well. And several nations moved to significantly overhaul their marijuana laws. It didn’t take long for pro-legalization forces to get a victory on the board after Session’s anti-cannabis attack. Just hours later, on the very same day the attorney general threw the previous administration’s federal cannabis protections in the trash, Vermont lawmakers voted to approve a marijuana legalization bill. Gov. Phil Scott, a Republican, went on to sign the legislation, which allows adults to grow and possess small amounts of cannabis but does not provide for a system of legal sales. That made Vermont the first state in the nation to enact legalization by an act of lawmakers instead of through a ballot initiative. In September, lawmakers in the Commonwealth of the Northern Mariana Islands (CNMI), a U.S. territory, also enacted a marijuana legalization bill that was later signed into law by Gov. Ralph Torres (R). Unlike the Vermont policy, CNMI’s approach does include legal cannabis commerce. The territory, which previously did not have a medical marijuana law, became the first place in the U.S. to go straight from having cannabis illegal across the board to allowing recreational use. These two new laws—signed by Republican governors—mark an evolution in the country’s move toward legalization. Whereas the other states that had previously ended prohibition did so through acts of voters, it is now clear that politicians are comfortable enough with the issue to take matters into their own hands. Support for marijuana reform transcends party lines, a political reality made clear by the fact that voters in Missouri, Oklahoma and Utah all overwhelmingly approved medical cannabis ballot measures this year while at the same time voting to elect Republicans to the U.S. Senate or nominate conservative candidates for statewide office. In Oklahoma, medical marijuana was on the primary election ballot—a situation legalization supporters have long sought to avoid because younger and more progressive voters who have been thought more likely to support cannabis reform don’t show up as reliably in non-presidential elections. But the decisive win in the red state during an off-year primary shows that medical cannabis can pass almost anywhere any time it is put before voters, whether presidential years, primaries or midterms. During last month’s midterms, voters in Michigan strongly approved a ballot measure making their state the fist in the Midwest to legalize adult-use marijuana. No longer relegated to the coasts, legal markets for recreational marijuana are now an emerging nationwide trend. 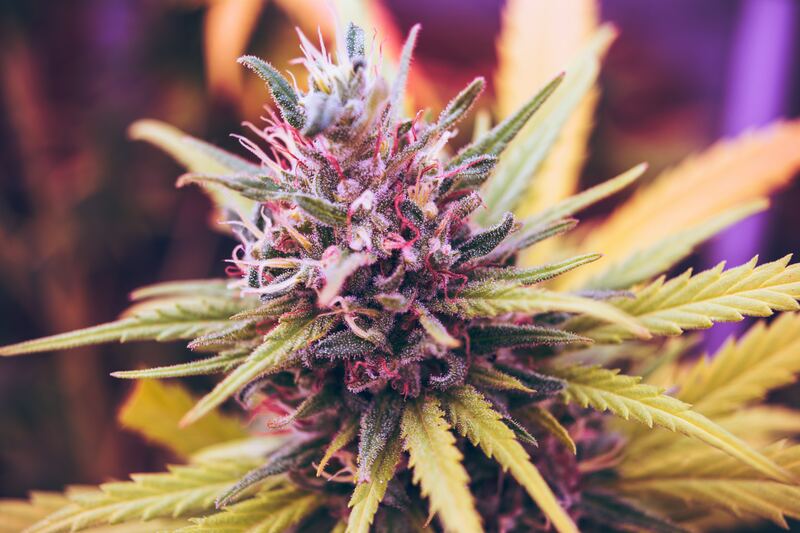 Separately, while not nearly as far-reaching as ending prohibition and allowing legal sales, voters in five Ohio cities also approved local cannabis decriminalization ballot measures on Election Day, signaling that a regional Midwest movement for marijuana reform is on the rise. Aside from the wins at the ballot box for cannabis measures this year, voters also elected a number of new governors who campaigned on promises to legalize marijuana. In Illinois, Democrat J.B. Pritzker sailed to victory after a campaign in which he made marijuana legalization a centerpiece of his platform. Minnesota Gov.-elect Tim Walz (D), who has worked on cannabis issues in Congress, also backs ending prohibition. In addition to approving a legalization ballot measure, Michigan voters elected Gretchen Whitmer (D), who publicly supported the initiative and called cannabis an “exit drug” away from opioids, as governor. In New Mexico, Michelle Lujan Grisham (D), who won the governor’s race, said legalizing marijuana will bring “hundreds of millions of dollars to New Mexico’s economy.” Connecticut Gov.-elect Ned Lamont (D) said that legalizing marijuana will be among his “priorities” in 2019. While reelected New York Gov. Andrew Cuomo (D) previously called marijuana a “gateway drug,” in recent months he appointed a working group to draft a bill to end cannabis prohibition for lawmakers to consider in 2019, and the chances of that passing were improved as Democrats took control of the state’s Senate in the midterms. The rapid evolution of the politics of marijuana isn’t just happening on the state level. Many more members of the U.S. House and Senate became active in the fight to end federal cannabis prohibition in 2018. More than just being ineffective in stopping states from changing their marijuana laws, Sessions’s anti-cannabis move seems to have actually spurred more federal lawmakers to view ending national prohibition as an important issue, with dozens of members of Congress quickly weighing in on the need for reform in the wake of his rescission of the Obama-era memo. One legislator, Sen. Cory Gardner (R-CO), went so far as to place a hold on President Trump’s Justice Department nominees over the dispute. And while congressional Republicans blocked dozens of cannabis amendments, refusing to allow any to reach the House floor for votes, more bills to end or amend federal marijuana prohibition were filed in the 115th Congress than ever before, and they garnered record numbers of cosponsors. And with the Democratic takeover of the House in the midterms, many observers believe that the chamber will pass far-reaching marijuana reforms in the 116th Congress, a plan for which Rep. Earl Blumenauer (D-OR) laid out in a comprehensive step-by-step “blueprint” toward federally legalizing cannabis in 2019. Several of the lawmakers who vocally spoke out for ending federal marijuana prohibition this year have historically been actively hostile to cannabis reform. Sen. Dianne Feinstein (D-CA), long one of Congress’s most ardent legalization opponents, announced during the course of a tough primary challenge that she finally came around to the notion that her constituents who follow California cannabis laws shouldn’t be arrested by federal narcotics agents. Feinstein’s home state colleague, Sen. Kamala Harris (D-CA), who many believe to be preparing for a 2020 presidential run, once simply laughed in the face of a reporter who asked her about marijuana legalization. Now, the former prosecutor is all-in on ending prohibition, signing her name this year onto a far-reaching bill that would punish states with discriminatory cannabis enforcement. Senate Minority Leader Chuck Schumer (D-NY), who has rarely met a federal drug criminalization policy he didn’t like, changed his mind on marijuana in 2018 and filed his own bill to remove cannabis from the Controlled Substances Act. And one of the Democratic Party’s rising stars, Rep. Joe Kennedy III (D-MA), who opposed legalization in his home state of Massachusetts and consistently voted against even limited medical cannabis amendments in Congress, also evolved and now supports legalization. While it is likely true that some of this position flipping is at least partially motivated by genuine rethinking about the policy of prohibition, it’s hard to believe that politics doesn’t have something to do with it as well. Polling now consistently shows that a growing majority of the country supports legalizing cannabis. Gallup, for example, found in October that 66% of Americans—including a majority of Republicans—are now on board with legalization. This new politics of marijuana is likely to become more and more apparent to politicians who are still reluctant to embrace cannabis reform as a growing number of states change their laws. In a situation that stemmed directly from his own attorney general’s anti-cannabis moves, President Trump ended up lending his support to a bill to end federal marijuana prohibition. Following Gardner’s blocking Justice Department nominees in protest of Sessions’s rescission of the Obama-era marijuana memo, the senator spoke directly with the president and elicited a pledge for the administration to respect local legalization laws in exchange for lifting his hold. Following that, he teamed up with Sen. Elizabeth Warren (D-MA) to file legislation to shield state marijuana policies from federal interference. When asked about the proposal during an impromptu press conference outside the White House, Trump said he “really” supports the bill, a comment that made him the first sitting president to embrace legislation to end the federal prohibition of marijuana. After decades of being caught up in the broader prohibition of cannabis, marijuana’s non-psychoactive cousin hemp is poised to finally become a legal crop. Senate Majority Leader Mitch McConnell (R-KY), no fan of marijuana, nonetheless actively championed the legalization of hemp through this year’s Farm Bill, going so far as to take the unusual step of naming himself to the conference committee charged with reconciling the Senate version, which had his hemp language in it, with the House version, which did not. McConnell and other congressional leaders announced recently that the negotiated bill that will be sent to President Trump’d desk includes provisions to finally and officially remove the crop from the Controlled Substances Act. The legislation, which will bolster the growing market for hemp-derived cannabidiol (CBD), is expected to be enacted by year’s end. In addition to having prohibition-free zones within its own borders in a growing number of states, the U.S. now has a whole country where cannabis is legal just over its northern border. While Canada is the second nation in the world to end prohibition after Uruguay, it is the first major global economic player to do so. The move has spurred the creation and growth of several huge publicly traded cannabis companies. As the Canadian system of legalization gets off the ground, it is likely to spur the U.S. and other nations to more seriously consider modernizing their approaches to marijuana. Speaking of legalization just over U.S. borders, the new administration of Mexican President Andrés Manuel López Obrador, which took office this month, is already making moves to end cannabis prohibition. In late October, the nation’s Supreme Court struck down the criminalization of using, possessing and growing personal amounts of marijuana as unconstitutional. But López Obrador’s team was already considering legalization even before the ruling. Weeks earlier, members of his incoming cabinet spoke about cannabis policy with Canadian officials during a trip to that country. Subsequently, Sen. Olga Sánchez Cordero filed a bill to legalize and regulate cannabis production and sales. She is now the nation’s interior secretary. The government hasn’t said when it plans to push the legislation, but its party and partners control the legislature, so advocates expect that the U.S. could soon be surrounded on both its northern and southern borders by countries where marijuana is legal nationwide. Aside from the seeming inevitability that more states will legalize marijuana and federal reform efforts will progress in 2019, it is possible that there are still more huge cannabis wins yet to come before 2018 is over. For example, lawmakers in New Jersey advanced a marijuana legalization bill out of committee last month. Gov. Phil Murphy (D) supports ending prohibition, and the legislation could still end up on his desk for signing by the end of the year. In any case, 2018 has already been a year that saw marijuana policy reform significantly advance on the state, federal and international levels, a scenario that bodes extremely well for the legalization movement heading into 2019. New York Cannabis Clash: Should Marijuana Taxes Fund Subways Or Social Justice?